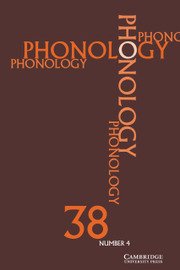 Phonology is the only journal devoted to all aspects of the discipline, and provides a unique forum for the productive interchange of ideas among phonologists and those working in related disciplines. 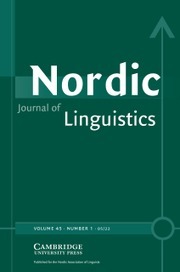 Preference is given to papers which make a substantial theoretical contribution, irrespective of the particular theoretical framework employed, but the submission of papers presenting new empirical data of general theoretical interest is also encouraged. 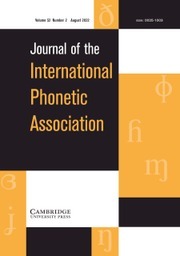 The journal publishes quarterly and carries research articles, as well as book reviews and shorter pieces on topics of current controversy within phonology. 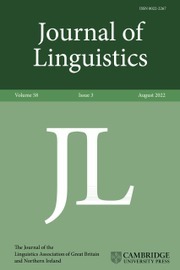 Many articles in Phonology include Supplementary Material, such as sound files, appendices and other data. 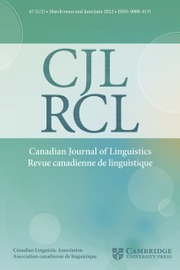 Please note that while older URL links in article PDFs may no longer connect, materials are still available to access online via the article web page. 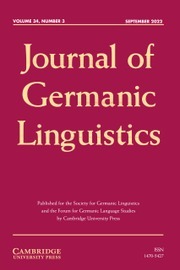 Simply search the article title or DOI using the central Phonology search bar. 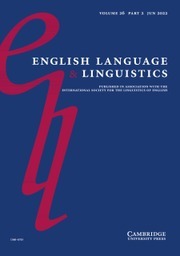 Supplementary Material is located in a separate tab above the article title.